: something that you should do because it is morally right, legally required, etc. One of the more common aspects of responsibility is the nature of a man to deny responsibility for his failures or transgressions . This usually takes the path of blaming others when we fall short of the goal. Of course one of the best known “blame games” in the Bible took place in the garden. Adam blamed Eve, and ultimately even the Lord, for the sin in which he found himself. Of course Eve blamed the serpent. The scripture is full of examples of God’s people blaming others for many different things. Sarah was not happy with Abraham when Hagar bore him a son, even though it was her advice to Abraham that initiated that event. Esau sold his birthright to his brother Jacob then complained that Jacob had deceived him to get the birthright. Arron made the golden calf but would not own up to it and Pilate washing his hands of any responsibility for Jesus’ death. 25 They exchanged the truth about God for a lie, and worshiped and served created things rather than the Creator—who is forever praised. Amen. There are none among us that are righteous, we have all sinned. Jews, Gentiles, all must come to Christ and repent. Wrapping this series up I will leave you with these thoughts. 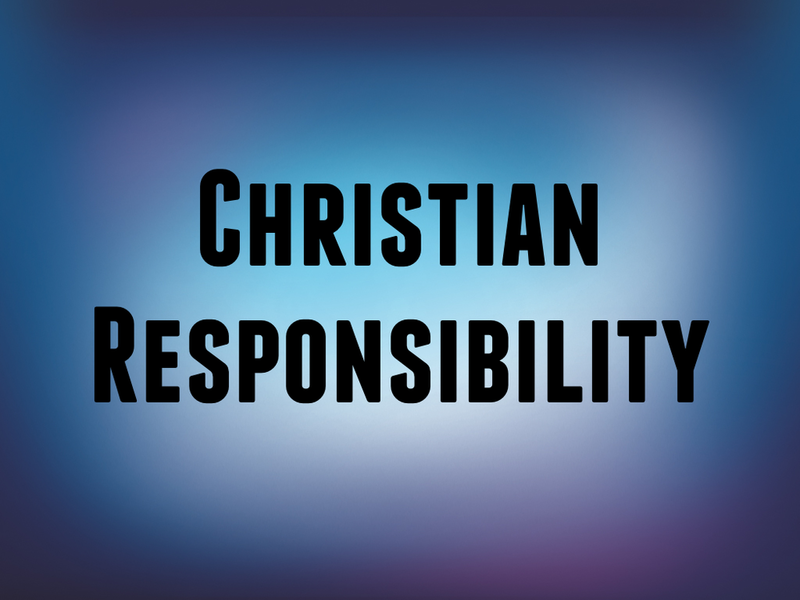 It is my opinion that of the three responsibility is the most important and here is why. Authority is granted or given, Accountability is imposed……responsibility is an inherent trait which when all is said and done will determine how we use that authority and how we hold others accountable. Thanks for sticking with us through this series. Hope to see you back in the pew next week. You Can’t Be All Things To Everybody……. ……..Or Can You?